Its appearance alone is enough to rouse your curiosity. On the outside, it has a pinkish and somewhat red color. When you finally take a bite of its juicy goodness, you can see a tasty combination of white with tiny dotted black seeds. The taste? Not only will it create a whirling sensation in your mouth, it will also give you the sugar fix you need for the day. The fruit I’m talking about is none other than Dragon fruit, which is the produce of the dragon fruit plant is equally stunning. About a footlong, this cactus has a yellowish white flower that only blooms during dusk and closes by the crack of dawn. In some cultures, it is even revered and considered to have a spiritual presence! Dragon fruits—also called pitaya fruit–aren’t as common as other fruits, like apples and oranges. You might have never seen or heard of the fruit yourself until today! For that reason, the appearance of the dragon fruit may genuinely strike your curiosity. With an oblong shape and sharp but harmless green thorns, the dragon fruit is completely edible once you peel off the outer skin. As you eat your first dragon fruit, you may not be all that excited at the thought of eating something that has so many seeds. After you take your first bite, all your inhibitions will surely be put to rest! Not only is it refreshingly sweet, it is also packed with many nutrients. A few of them are Riboflavin (B2), Thiamine (B1), Protein, Carbohydrates, Calcium, Iron, Vitamin C, and Carotene. Not a lot of fruits contains this much vitamins and minerals! The nutritional value of a dragon fruit is enough reason for you to try this fruit, or even regularly include them in your list of fruits. One of the popular health benefits of dragon fruit is that it can lower blood sugar levels, which is especially helpful for people who suffer from Type 2 Diabetes. 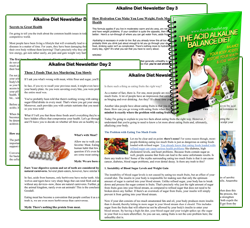 As you well know, Type 2 Diabetes is closely tied with the acid-alkaline imbalance in your body caused by a highly acidic diet. By eating dragon fruit, you are basically restoring the balance and helping your body root out the acid toxins. Of course, this must also be supplemented by a decrease of acid-forming foods in your daily diet. 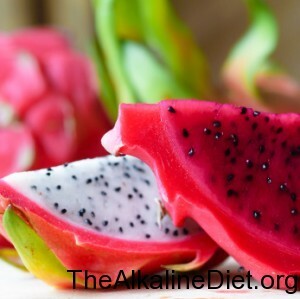 Another excellent benefit you can get from eating dragon fruit is the hydration of your body. We often forget the rules of drinking healthy, but fruits like this one will help you make out for the lack of water in your diet. In no time, you will notice your skin having that refreshing glow. When your body is in its natural pH balance, your skin will have a smooth and glowing quality—something that eating dragon fruit can help you with. Like most fruits, dragon fruit is also fibrous. With a healthy amount of fiber, you can take away the acid toxins that are stored in your body, purging out these harmful substances by excreting them. 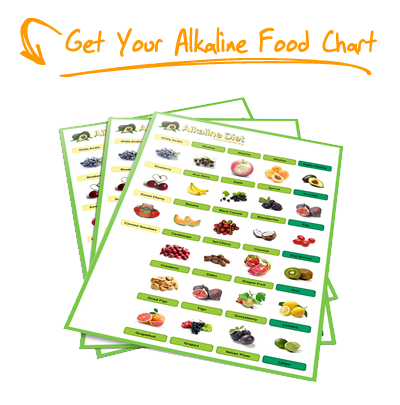 Without fibrous and alkalizing vegetables and fruits, these toxins will stay in your body and cause hyper acidity—which is in itself the least of evils that these toxins can do to your health. As a natural antioxidant, it also has the ability of repelling toxins from even penetrating your body! They can increase your appetite, especially during days where you simply don’t feel like eating. With the proteins contained in dragon fruits, your metabolism will also be enhanced. They can speed up the recovery of bruises and cuts. By protecting your brain cells, your memory is improved. Dragon fruits are known to originate in South America, specifically Argentina and Peru. However, it has also been grown in other places around the world, such as Vietnam, Texas, Thailand, and Philippines. They grow best in tropical and sub tropical climate; if the climate in your place fits its needs, then you should consider growing your own dragon fruit plant! In looking for dragon fruits, you may notice certain differences. That’s because there are three varieties: hylocereus, hylocereus polyrhizus, and selinecereus megalanthus. The differences mainly lie in their appearances. Hylocerus has the conventional red and pinkish skin, with white juicy flesh. Hylocerus polyrhizus, on the other hand, has the same color of skin as hylocerus but has red flesh. The last, selinecerus megalanthus, has white flesh and yellow skin. Perhaps now that you’re convinced that dragon fruits truly are appetizing, your next question is how to eat them. Getting through the layer of thorns on its skin may sound impossible to go through at first, but preparing dragon fruit is actually easy. First, make sure that the fruit is already ripe by its softness. When it’s relatively soft, it is ready for consumption. You simply slice the pitaya fruit vertically. After this, you simply scoop the flesh with a spoon, the same way you would eat papaya or star fruit. Don’t even try to take out the dragon fruit seeds—they are completely edible and even have nutrients themselves! Now, if you want to share the dragon fruit among your friends, you can simply slice them into thin pieces and eat each slice with a teaspoon. You can enjoy dragon fruits in more ways than one. It’s been done before: dragon fruit juice, dragon fruit smoothies, dragon fruit salad, and so many other recipes. You are free to get creative and experiment the numerous scrumptious ways of eating dragon fruit. You can even mix it with other fruits, such as lemon and kiwi. In making dragon fruit juice, you can add in a slice of lemon to achieve a sweet and sour taste. 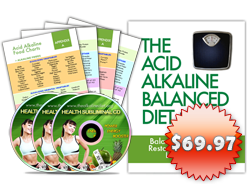 This drink will even be more alkalizing, as lemon remains to be one of the best alkaline-forming fruits. You can also prepare dragon fruit salad by throwing in some kiwi slices and lemon salad dressing. You’ll be surprised at how tasty and healthy this combination is!